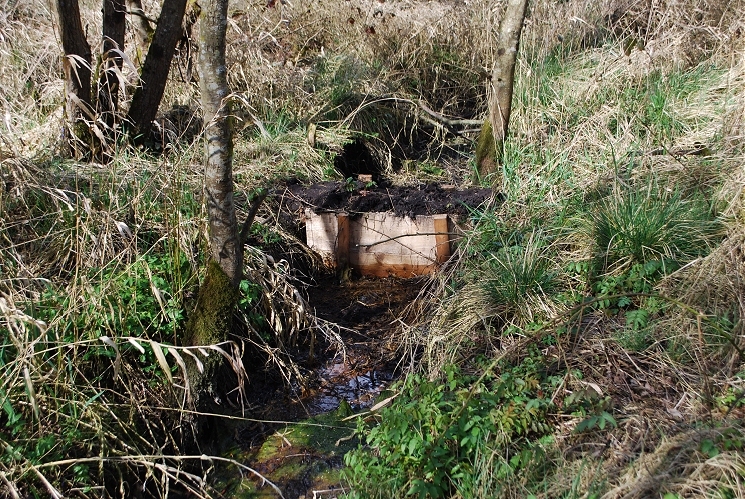 A number of different techniques are used across the project sites in removing non-native trees. 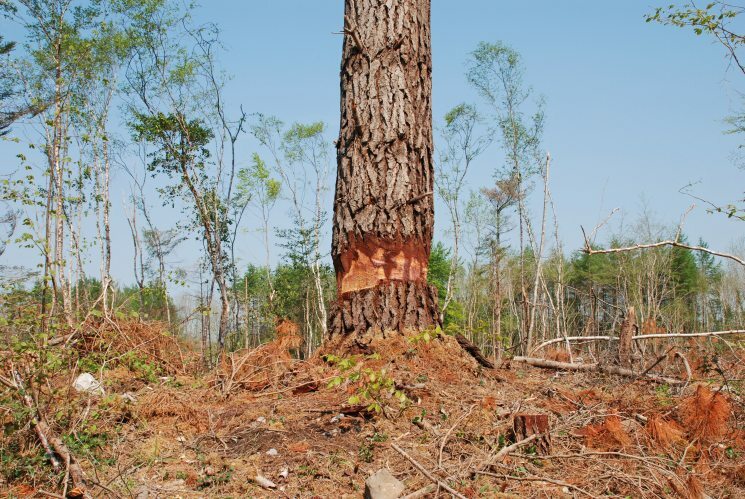 In some instances, the trees are fully removed to encourage natural regeneration. 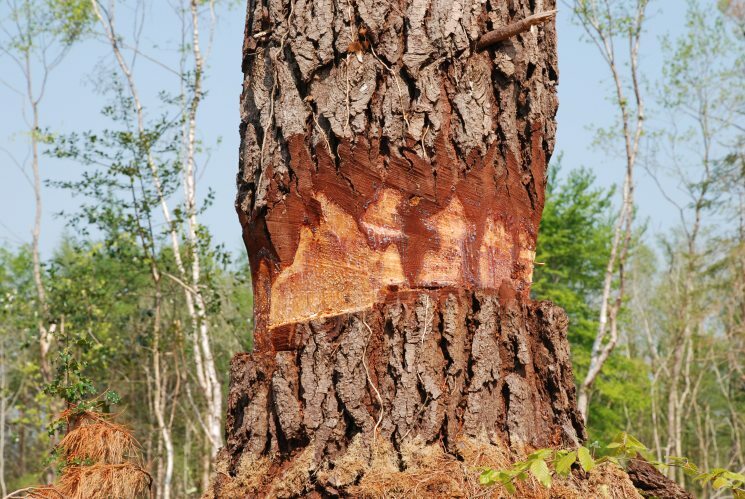 In other cases, different techniques (fell to recycle, ring-barking) are used to leave standing and lying deadwood to promote structural biodiversity within the woodland. 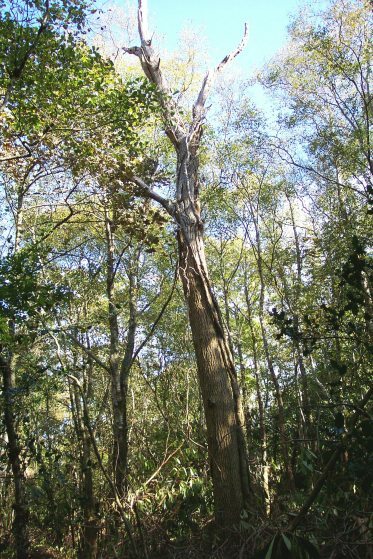 Forest deadwood is now internationally recognised as an important component of woodland biodiversity. 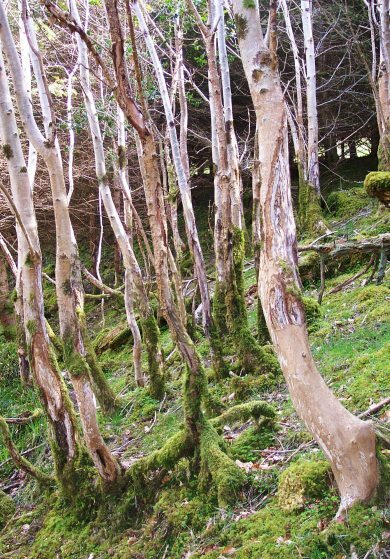 Exotic shrubs, such as laurel and rhododendron, spread vigorously through many woodlands in Ireland. 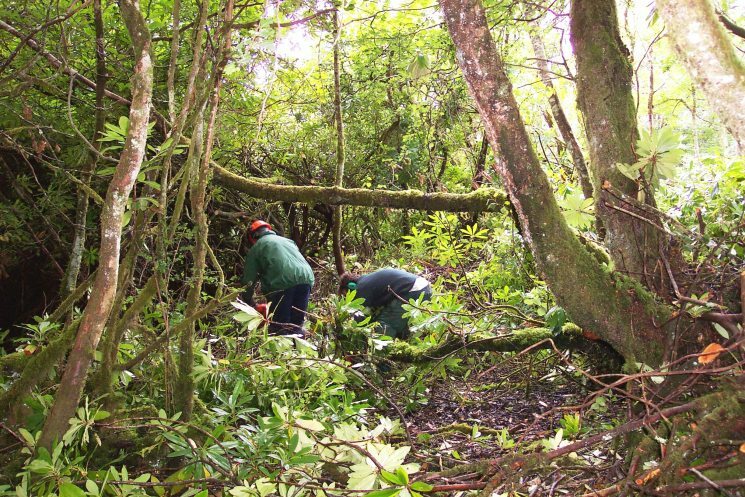 These shrubs form a dense canopy and prevent the growth of native woodland species. 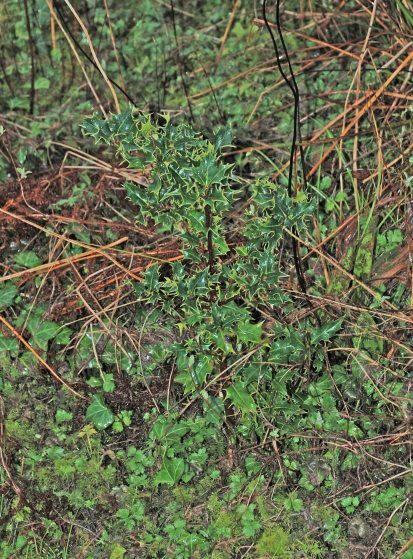 Management of these shrubs is complex due to their aggressive regeneration, following cutting. Follow-up work is needed to achieve successful control. 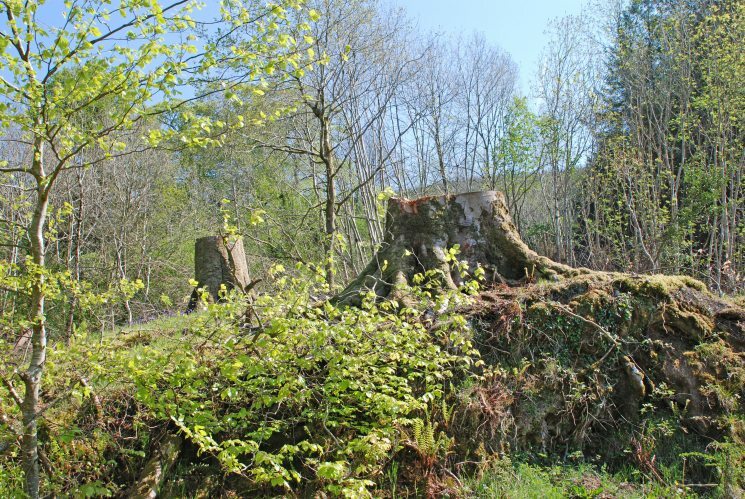 In most cases, woodland restoration will be achieved by natural regeneration of native tree species. At present, regeneration of native tree species is prevented by the presence of non-native trees and shrubs. 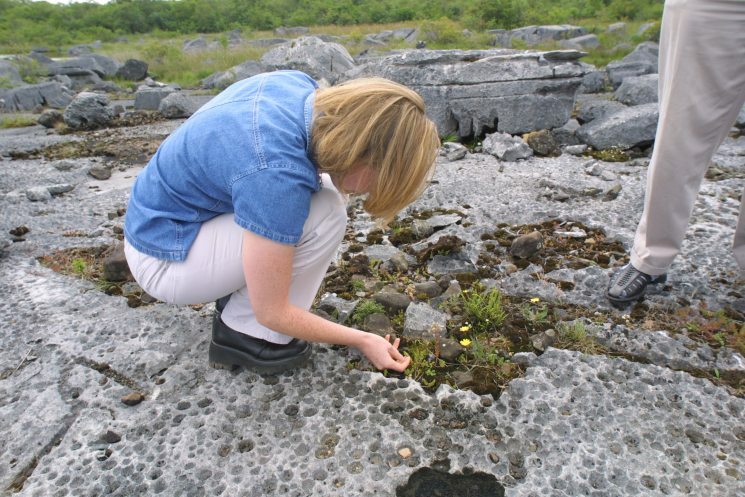 Removal of the non-native plants allows young native trees to regenerate from local seed sources. 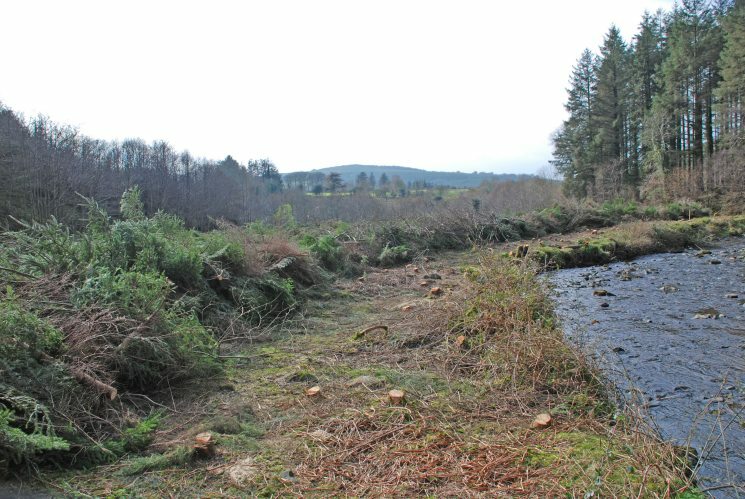 The aim of the works is to create conditions which will encourage regeneration into the future and allow the establishment and development of the priority woodland types. 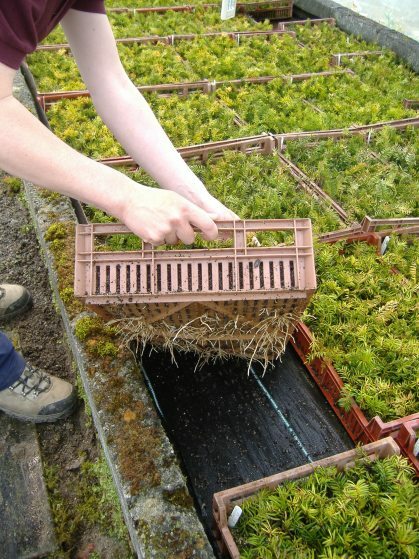 The restoration of the bog woodland and alluvial woodland types includes reinstatement of natural water regimes which have been altered by manmade drainage systems. 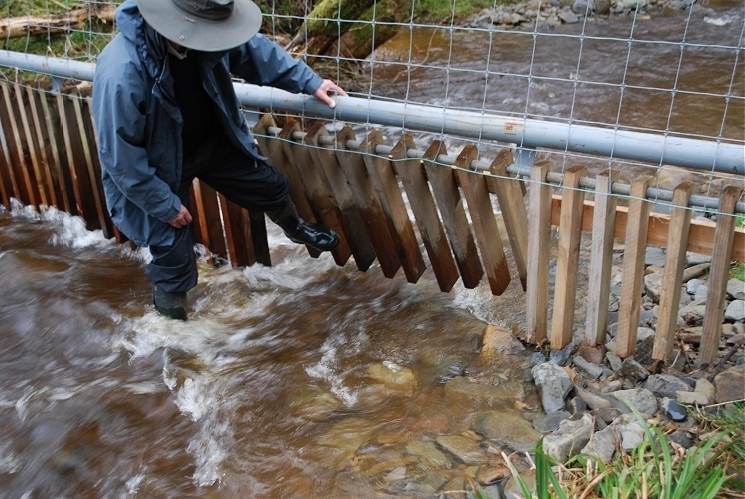 This is achieved by the strategic installation of dams in order to restore, as far as possible, natural water levels. 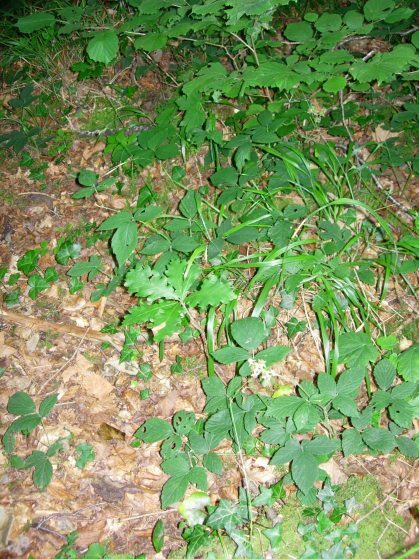 This is especially important for both these priority woodland types. 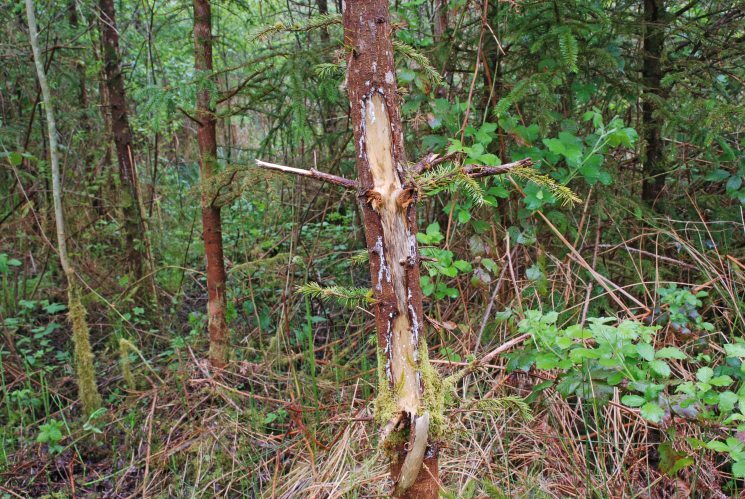 At some sites, both existing and regenerating native trees are threatened by animal grazing. These browsing animals include mainly deer (fallow and sika) and goats. Where required fences are being installed to reduce grazing pressures and promote natural regeneration. Irish yew is a slow growing native tree. 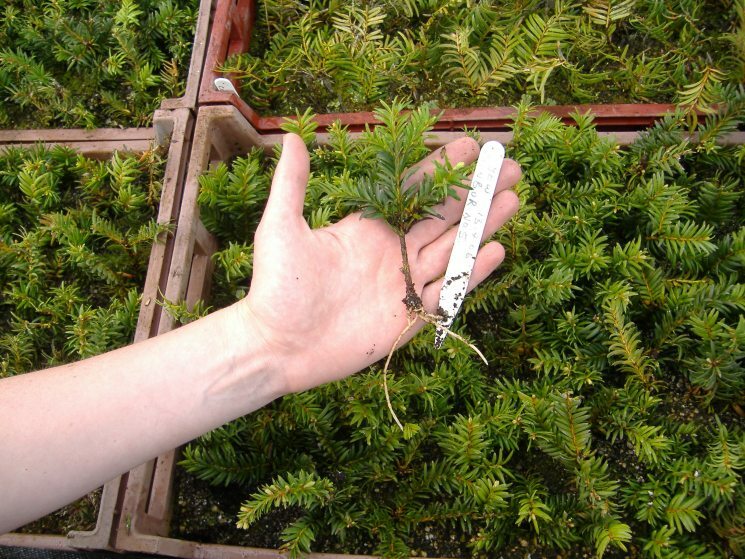 To supplement the natural regeneration of this species and promote the establishment of yew woodlands, manual planting will take place at five sites. 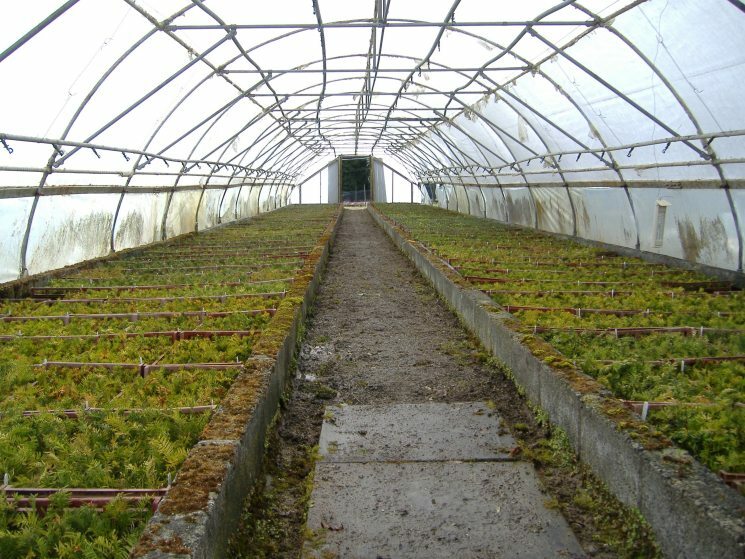 Young yew trees are propagated in the Coillte nurseries from cuttings carefully selected from local native grown stock before being transplanted back into the priority woodland. 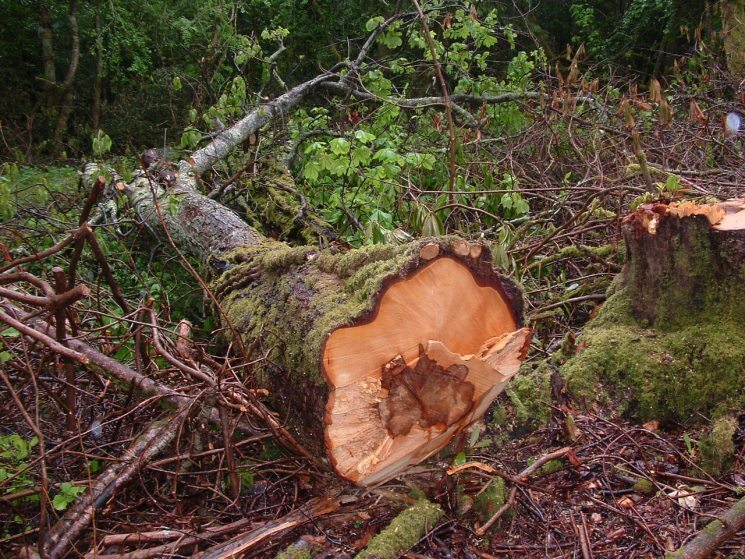 There is a lack of perceived value of priority woodland habitat in Ireland at present. One of the main ambitions of this project is to heighten public awareness to the value of these habitat types. 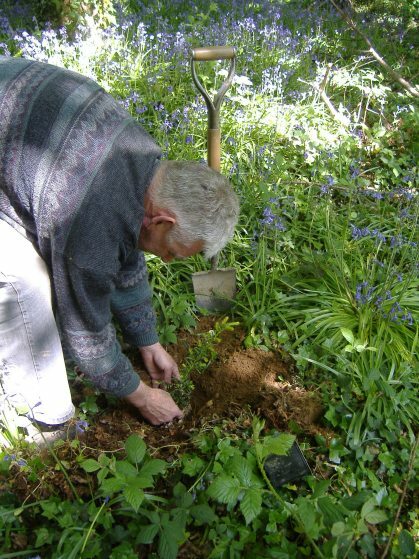 This is being achieved through a variety of media, including this website, a project brochure, local public information days, woodland walks and the three demonstration sites. The project includes an official launch at national level and over the course of time will produce a results booklet, culminating with an end of project conference. This work is supported by an on-going media publicity campaign which aims to further raise public awareness of the restoration project. To request a project brochure, please click here.